There has been an increasing public concern in Wirral regarding anti-social behaviour around use of scrambler and motor bikes. The Council has pledged to work with local communities and residents through the Safer Wirral Hub and other networks, to continue to do everything possible to tackle this issue. Merseyside Police launched Operation Brookdale to target offenders involved in the illegal and nuisance use of off-road bikes. Since December 2016 Merseyside Police have used a DNA spray to mark suspected illegal riders and off-road bikes. The spray marks the bike, clothing and skin or any riders with a uniquely coded but invisible dye that can be easily detected with torches and ultraviolet light in police custody suites. Anyone with information on who is using these bikes and where they are being stored is urged to call 101 or Crimestoppers anonymously on 0800 555 111. Some Mini motorbikes and quad bikes are very powerful capable of travelling in excess of 40 mph and some can reach 60 mph. Many of the mini motorbikes are marketed as toys but machines with electric or petrol motors are classed as motor vehicles. 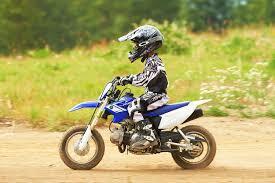 if your child rides an off road bike on a road or on public land they will require motor insurance? If your child is over 16 years of age they can ride a mini motorbike or similar off road on private land with the permission of the owner of the land. the mini motorbike or similar must be registered with the DVLA, be fully taxed and have a current MOT certificate.